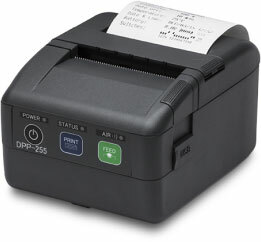 Infinite Peripherals has introduced their new DPP-255, a high-speed mobile receipt and label printer. This MFi-certified compact unit has a print speed of 100mm/s, and supports iOS, Android and Windows. Among the fastest mobile printers in its class, the DPP-255 supports the iPad, iPhone and iPod touch, along with devices running Android and Windows. The printer helps retail and entertainment environments with rapid line-busting and ticketing, and is ideal for mobile POS receipts, coupons and labels. The DPP-255 features RS232C interface and USB interface, and offers optional Bluetooth and Wi-Fi communications. It includes two resident fonts and two loadable fonts, along with several resident 1D and 2D barcodes, and the resolution is 203 dpi. The printer runs on a rechargeable, long-life Li-ion battery that yields approximately 20,000-30,000 lines per charge. The printer also has a label gap sensor, label peeler and an integrated belt clip. 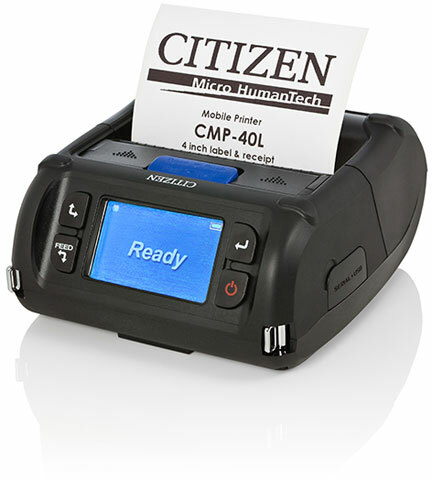 It joins IPC’s existing line of mobile printers: the DPP-250, a 2” receipt mobile printer; the DPP-350, a 3” receipt model; and the DPP-450, which prints 4” thermal paper or labels. Infinite Peripherals has announced their new DPP-255 mobile printer, a high-speed receipt and label printer. This MFi-certified compact unit has a print speed of 100mm/s, and supports iOS, Android and Windows. Star’s next generation, super compact SM-S230i mobile printer is filled with heavy weight features including auto detect pairing with either an Apple iOS or Android device, saving time and simplifying set-up. 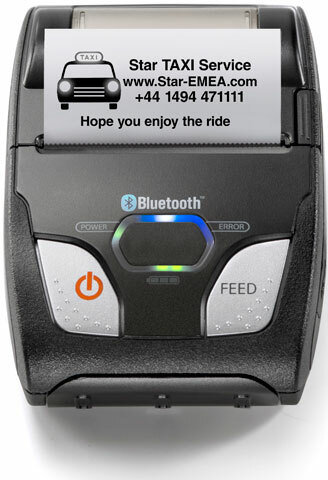 Star has continued this philosophy with Star’s Auto Connect feature for automatic Bluetooth connection with previously paired iPads or iPhones, making it perfect for every day use in busy environments from queue busting to mPOS receipting in retail & hospitality. The simple “Drop-In & Print” paper loading, whether on the counter or on your belt, along with the long lasting battery life of 13 hours and automatic sleep mode for extended battery life all helps towards seamless POS transactions. 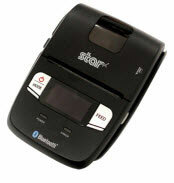 The SM-L200 is the newest addition to Star’s line of mobile Bluetooth-based receipt printers. The 2″ portable printer is the perfect solution for applications that require high quality receipt printing in the field. The SM-L200 is the first portable printer currently on the market which offers the ability to connect any Apple iPad, iPhone and iPod touch, iOS BLE compatible device without having to pair to it. With no limitation on the number of devices connected, BLE is the perfect solution for BYOD (bring your own device) environments that does not require any certification or prior authorization from your iOS operating system. In addition to the BLE feature for iOS, the SM-L200 is Bluetooth (3.0/ 4.0) compatible with all operating systems (Windows, Android, and iOS). For assistance finding the right Star printer for your needs, contact us at Barcode Discount. Offering Bluetooth and WLAN support, as well as a full-shift battery life, the ZQ110 is made for use in the field. 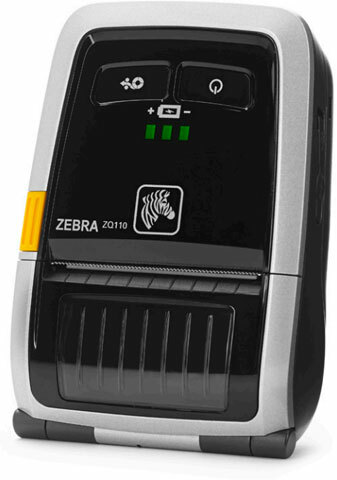 The ZQ110 printer also offers an optional magnetic stripe reader (MSR) for applications that require reading loyalty gift cards or for authenticating a user. The ZQ110 also supports the latest Android, Windows and Apple (MFi-certified) operating systems to easily integrate with any mobile device. For assistance finding the right mobile printer for your needs, contact us at Barcode Discount.